Google recently announced on Twitter a huge update to their review system. Up until now, you could respond to your online reviews, but chances are the customer never saw it. 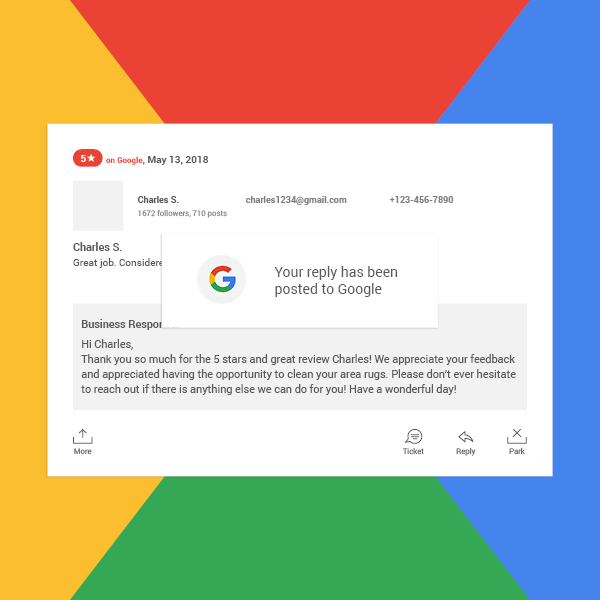 Now, customers who leave a review on Google will be notified by email when a business responds to their review. Google has already made moves to rank higher the businesses that are active on Google My Business, and this update is no exception. Businesses that are engaging their customers and responding to reviews will surely see that reflected in their ranking. Moreover, customers will start to expect a business response to their feedback, positive or negative. A lack of response to a negative review can irritate the customer further, and a lack of response to a positive review may convert an otherwise satisfied customer into an unhappy one. If you aren’t already responding to your online reviews, now is definitely the time to start! ReviewMyDryCleaner allows you to respond to customer reviews directly from one central dashboard, provided you have integrated your Google My Business account. Contact us today to find out more!